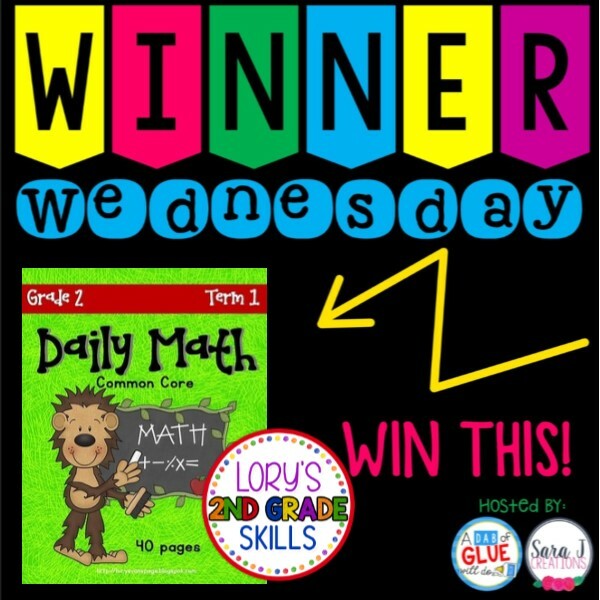 I am excited to participate in Winner Wednesday. This linky will take place the first Wednesday of every month. I pick a popular product from my store, share pictures and YOU will have a chance to win that product for FREE. All you will have to do is enter your name to be entered into the Rafflecopter. Yep, that's it!! Now on to why you are here. 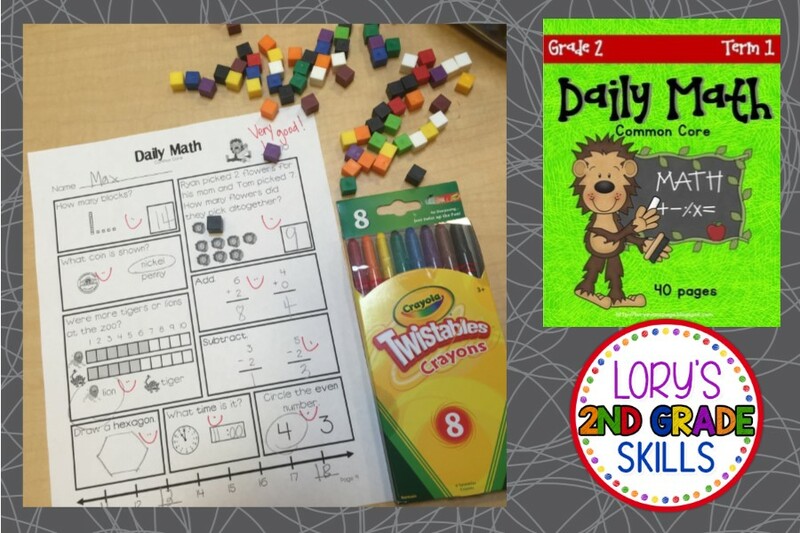 This month I chose my #1 product in the my store: Daily Math. 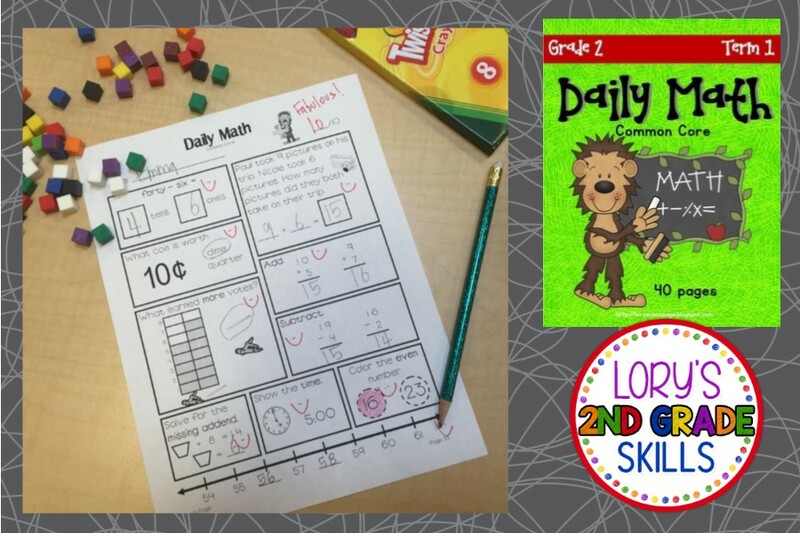 I absolutely love teaching this math. 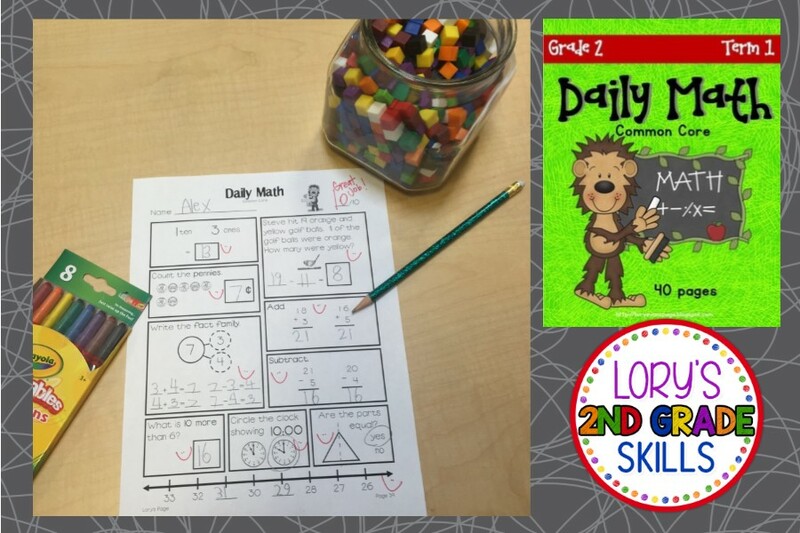 There are 40 pages of math daily reviews to help enrich your lessons and master the 2nd grade math standards. Why not let your students review all of their math skills everyday! This file contains 40 pages for each day in term 1. 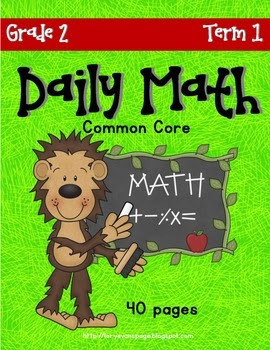 I have studied the Common Core outline for the entire year while creating these. Each term will progressive increase in difficulty until all skills are taught and covered. Interested in trying it out with your own 2nd grade class? Click the image below to receive 20 free pages and see more!! These are great. I LOVE your website. Thanks for linking up. Super cute! I love the cover for this! This will be awesome for a teacher to use this fall. Thanks for joining us. Great product! 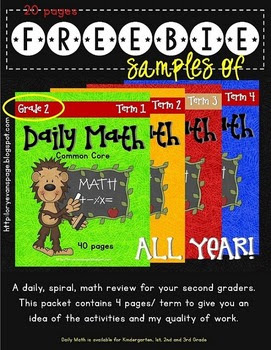 As a former second grade teacher I would've loved these! I don't know what grade I'm teaching in the fall but am definitely entering to win. These are great!